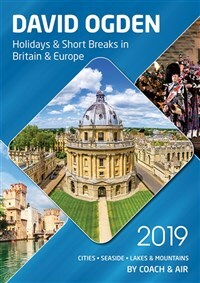 The Scottish Highlands are a visual treat and this special holiday will see them from a different view as you glide through ever changing scenery much of which cannot be seen by road. 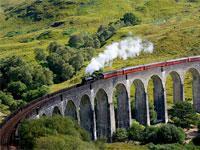 Enjoy time on the Jacobite Railway, Harry Potter's famous express. 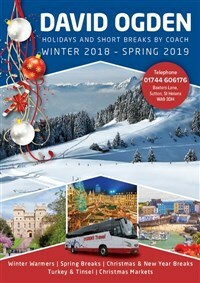 The Kyle Line was reported by Michael Palin to be one of the world's most beautiful rail journeys in the world, and the journey by steam to Broomhill, or should we say Glenbogle from TV's Monarch of the Glen is amazing. 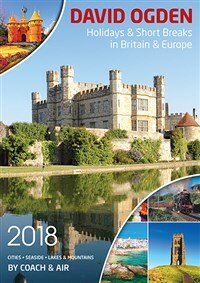 Train enthusiast or simply a lover of amazing scenery this holiday will surely be a visual treat. Enjoy entertainment each evening in the heart of the Scottish Highlands. Dating back to the 18th Century and boasting Queen Victoria as a former patron the hotel prides itself on quality cuisine. Bedrooms offer TV, tea/coffee making facilities, hairdryer & iron. Lift. EXCURSION 1: We travel by coach enjoying the beautiful scenery as we go, to Fort William, to join the Jacobite Steam Railway. We leave Fort William and the back drop of Ben Nevis following the shores of Loch Linnhe. 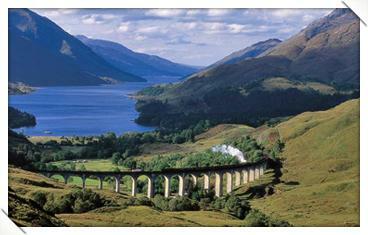 A stop will be made at Glenfinnan for photos of the monument, viaduct and its 21 archways and Loch Sheil. Leaving Glenfinnan, the landscape opens up and we catch our first glimpse of the sea. From here, it is only short distance to our final destination, the busy fishing town of Mallaig. Well enjoy free time in the fishing village and return via road seeing the stunning scenery from a different perspective. Please note on some occasions the journey may operate in reverse. EXCURSION 2: We journey to Inverness to board the Kyle Line headed for Lochalsh. The journey takes us north-west from Inverness to Dingwall before climbing over the Highlands through beautiful wooded hillsides passing magnificent Lochs with twists and turns in and out of loch side inlets and arriving at the coast at Plockton, with yachts anchored in the shelter of its beautiful bay. The final section of the journey is perhaps the most dramatic, as it is carved through the solid rock that leads to Kyle Pier and the end of the journey. Our coach then takes us across the bridge to the Isle of Skye to enjoy a little free time before our journey back to our hotel by coach. 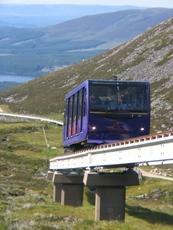 EXCURSION 3: We have free time in Aviemore before joining the Strathspey Steam railway. We travel through Boat of Garten and onto Broomhill, the railway takes you on a nostalgic 45 minute trip along part of the original Highland Railway. As the train passes over Moorland, through woodlands and by great sweeps of the River Spey, the Cairngorm Mountains provide a backcloth to the scenery.